DAEL launches the partner spotlight, a recurring item in which we highlight the services of our partners. This time we put LinkThings in our spotlight: an innovative company focused on IoT and Big Data solutions. According to experts the next 'big thing' in the IT world. 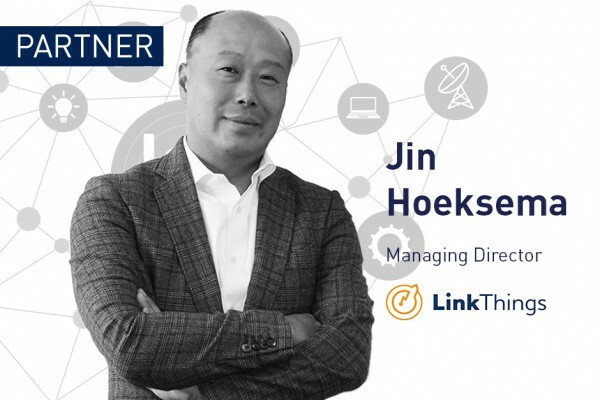 Jin Hoeksema, Managing Director of LinkThings, has proven to be particularly skilled in the planning and deployment of mobile networks within his years of experience in the telecommunications industry. But by setting up his innovative company last year, this Product Management professional showed us he has a focus on new business as well. LinkThings focuses on the possibilities of IoT in combination with an expertise in the field of Business Intelligence and Big Data Analytics. The motto of the organisation: 'Challenging the big data tackling the internet of things'. We had the opportunity to speak Jin about the latest developments in the field and his future vision on Big Data and IoT. Jin, you left a 10-year career at KPN behind. Can you tell us a bit more about the run-up and development of the LinkThings concept? "Since the start of my career, I have been working in the dynamic telecom sector, where I have deployed myself as a freelancer for operators for several years. After a world trip which I made with my family in 2009, I decided that I wanted to spend more time at home to watch my children grow up. I then signed a contract with KPN, where I held several management positions. However, I continuously found myself working in a 'Perfect storm': where high costs for the rollout of mobile networks and declining sales thrived, but I always continued to believe in new and innovating forms of service. Around this time, the IoT technology came into being. It was when a reorganization was announced, that I proposed to let my management layer disappear from the business process and start for myself once more. I have always followed my curiosity for new techniques and this has worked out very well so far. " Where do you see the biggest technical challenges for further growth and how do you deal with this? Which use cases has LinkThings facilitated when it comes to the use of IoT and Big Data? "With LinkThings we focus on B2B, where companies come to us with an issue and we then develop a tailor-made application. With the help of the smart data collected from IoT devices, decisions can be made to get faster, more efficient or cheaper results in the future. We also build platforms for companies to facilitate their data in the cloud. We are aware that more and more companies want to make the switch from their own servers and tooling to solutions in the cloud, and we are there to guide and execute this journey. For example, we recently came into contact with Welzorg Maasdijk, which indicated that they were struggling with the problem of a relatively large number of broken mobility scooters. By the use of sensors, we collected data from the mobility scooters which we then analysed. We found out that due to a misuse of the mobility scooters, the lifespan deteriorated drastically. Because the sensors now warn us, we can both intervene in human actions and call in engineers for malfunctions. In addition to offering more user-friendliness, this technology has increased the lifespan of the mobility scooters vast." You give us an example at user level, but can this application also be utilised to a broader extent? That suggests to me that big data not only can give us answers to current business issues but could be a contribution to the search for a new approach to issues of mutual concern. For example, could you mention something about how IoT can contribute to a solution tackling climate change? "We are already capable of using the big data of IoT devices to make predictions of future events. Think of measuring air quality in The Hague with the help of sensors. By creating a network of thousands of sensors and linking them together, we can draw a heat map that gives us accurate information about specific areas. Based on this, actions can be taken by the municipality; for instance by blocking polluting diesel vehicles from certain areas in the city or linking parking fees to the environmental friendliness of your car. This technology will only continue to develop in the future." How do you ensure that you can continue to facilitate large data flows? Which dependencies play a role in this? Lastly, do you make use of IoT and Big Data in your daily life already? "We may not have realized it yet, but Big Data already plays a huge role in our lives. Apps such as Google Maps and Tripadvisor are just a few examples of the applications based on Big Data analysis at consumer level. And as soon as this IoT technology becomes available for the larger market, the development will progress even more rapidly and provide even greater amounts of data. Smart kitchen appliances and self-controlled cars; although this seems far away, it is only a matter of time until this becomes reality. However, this new technique also comes with risks in terms of safety, ethics, and privacy. More research is needed, but one thing is for sure: we have our hands on a very innovative product! " Do you have any questions about the possibilities of LinkThings for your company? Feel free to contact them to gain more insight into the services they provide. DAEL is always looking for innovative ways to satisfy our customer’s needs. Because together we can offer our clients more! Our partners work with us to take both companies to an even higher level. By putting them in our Partner Spotlight, we bring our audience in contact with our valued partners.